I like tea. Hot or iced, I’m a fan. I’ve tried many brands and have found quite a few that I have on my list of favorites, and new to that list – Swiss Premium Teas. When I learned of the opportunity for this review, I have to admit that I hadn’t heard of the brand before. It’s not carried at the supermarket where I usually shop, but I was more than happy to take a trip to another local store to pick up a sample – and I’m glad I did! The tea I tried was their regular tea with lemon. It’s sweet and satisfying, with just a hint of lemon taste (which is exactly how I like it!). 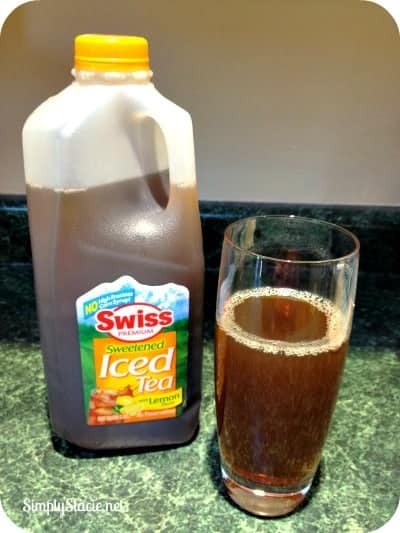 Swiss Premium offers a full line of cold tea products, including Diet Iced Tea, Southern Style Sweet Tea, and Green Tea with Honey and Ginseng. A great feature of the teas – they are made with no preservatives and no high fructose corn syrup. Check out their retail locator to find a store near you that carries Swiss Premium Teas. And from now through April 15th, residents of Maine, New Hampshire, Vermont, Massachusetts, Connecticut, Rhode Island, New York and Pennsylvania are eligible to enter the Swiss Premium Teas “Make Friday Night Family Night” sweepstakes – visit swisssweeps.com for more details. To learn more about Swiss Premium Teas, visit their website, or catch up with them on Facebook and Twitter.